Building modern-day automotive systems presents a complex software development challenge. Teams often struggle to meet that challenge with traditional development processes and tools. Your automotive systems, such as driver assistance, infotainment, or electronic control unit (ECU) systems, require that a single control unit accept and process data and signals from many different sensors built by many different manufacturers. Using that input, your car’s control unit has to execute the correct functions and provide the correct output to other systems—including systems that are critical to safety, like steering or braking. 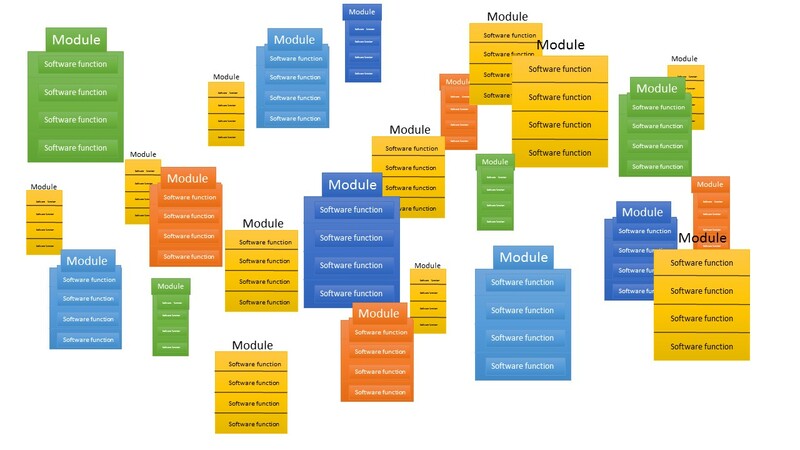 The software used for innovative automotive features increasingly incorporates modules from very different sources and completely different types of sensors. In addition to data from conventional sensors, systems must incorporate map data (electronic horizon) and data from other vehicles (Car2x). What’s more, car manufacturers are increasingly developing their own functions for integration into the control device. This is the only way to implement “hallmark” customer functions that differentiate them from competitors and provide carmakers with a competitive advantage. Conventional software development methods don’t effectively support the complexity involved in automotive software development projects. 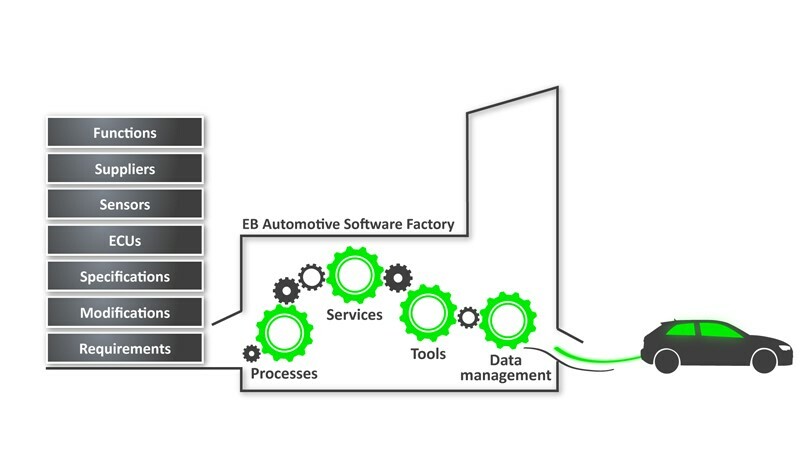 So EB Automotive developed the Software Factory concept to overcome the challenges. Already successfully used on multiple projects, it provides for continuous software development. Software Factory hardware and tools can be used for several control devices in a virtual tool environment. A production line generates the software stack for a control device in all necessary variants. With the Software Factory, the car manufacturer defines the brand-typical “driving experience on four wheels,” the supplier can optimize a function in the overall system, and the software supplier can leverage an efficient implementation for different vehicles.